Don’t you think it's time the federal government improved washroom access for Canadians living with Crohn's or colitis? For the 250,000 Canadians living with Crohn’s or colitis, there is nothing more important than improved washroom access. During flare ups, patients can feel like they live in the washroom. This can severely impact work, school and personal relationships as people living with these chronic diseases often become isolated due to the constant fear of not being able to find or have access to a washroom. Tell your local MP that you think Canadians living with Crohn's or colitis should have access to washrooms in federal facilities! Join thousands of Canadians across the country who are speaking out for the 250,000 Canadians who suffer from these invisible diseases. Use the form below to send a letter to your local federal MP and the federal Minister of Persons with Disabilities calling on them to legislate washroom access for federal government buildings and government-operated service facilities not requiring security clearance. 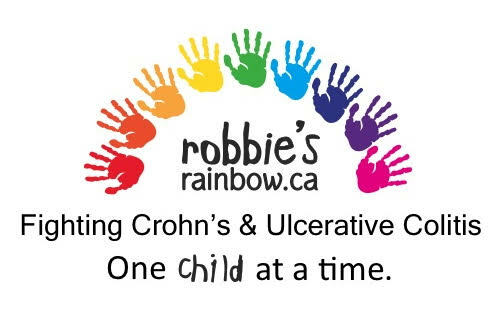 Crohn’s disease and ulcerative colitis are life-long medical conditions that are hidden disabilities requiring urgent access to a washroom. When in flare-ups, these diseases cause inflammation within the gastrointestinal tract. To the 250,000 Canadians suffering from Crohn’s disease or ulcerative colitis, there is nothing more important than improved washroom access, now. During times of active disease (flare ups), patients can feel like they live in the washroom. Even during times of remission, people with inflammatory bowel diseases (IBD) feel that they can’t be too far away from the washroom. When you have to go to the washroom 20 times a day, it severely impacts every facet of life, including work, school and personal relationships. The Government of Canada is Canada’s largest employer. Federal government buildings are ubiquitous and are at times the largest, if not only, employer in rural and remote communities. However, many of the buildings’ washrooms outside of secured areas are not accessible to the public. City Halls across Canada (Mississauga, Barrie, Calgary, etc.) have already declared their support for the IBD community and provide access to their municipal government building washrooms. Canadians with IBD are very grateful for this support and access - seniors, pregnant women, young children, and Canadians with other debilitating incontinence issues (multiple sclerosis, IBS, diabetes, etc.) are as well. Crohn’s and Colitis Canada is seeking to work with the Minister of Sport and Persons with Disabilities, the Honourable Carla Qualtrough, to allow washroom access in federal government buildings across Canada. This would come in the form of washroom access legislation embedded in the anticipated Canadians With Disabilities Act. We ask the government to legislate washroom access for federal government buildings and government-operated service facilities not requiring security clearance and call on provincial, territorial, and municipal governments across Canada to follow suit with their own legislation and by-laws. Tell your local MP that you think Canadians living with Crohn's & colitis should have access to washrooms in federal facilities!